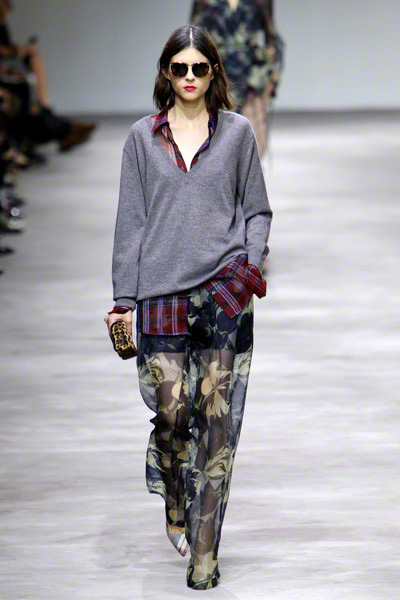 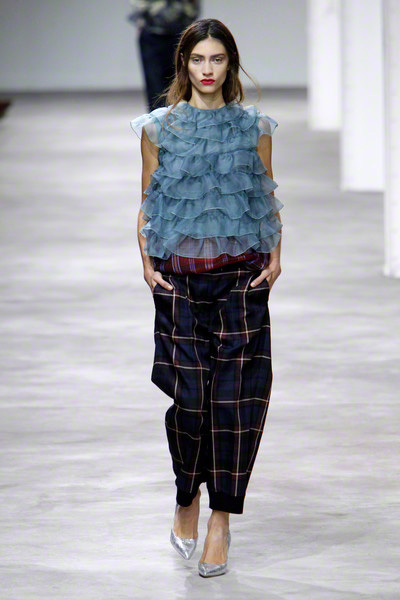 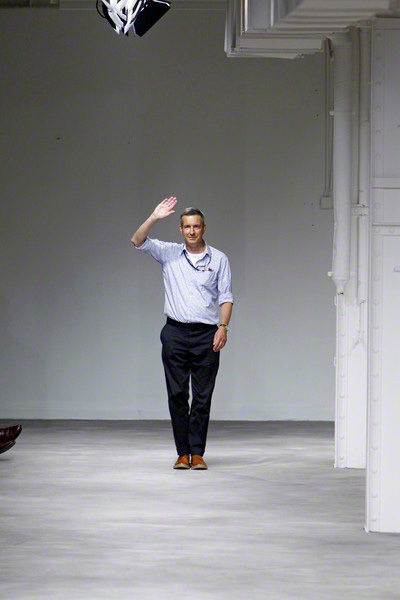 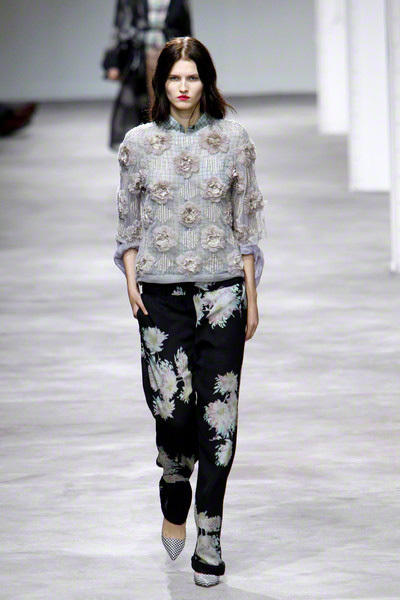 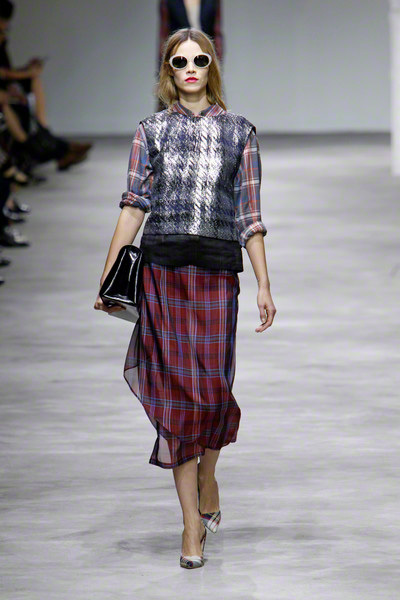 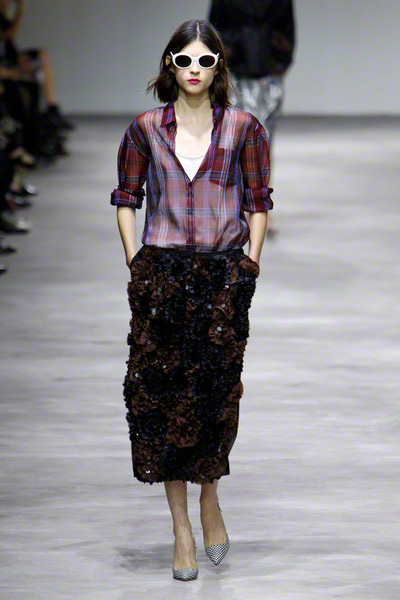 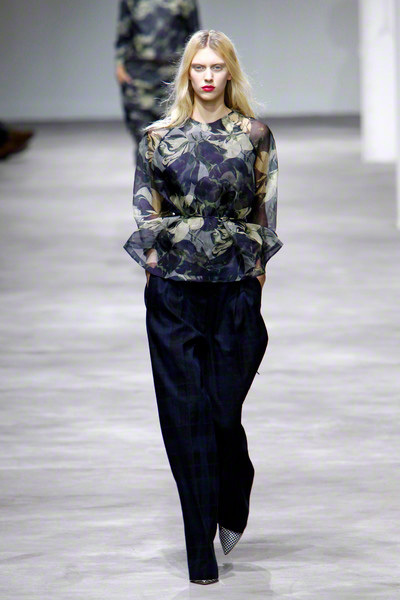 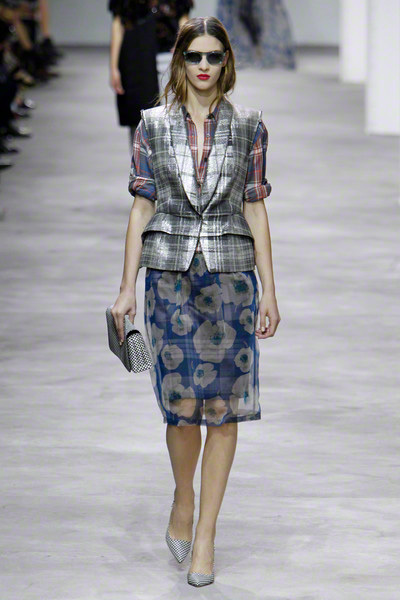 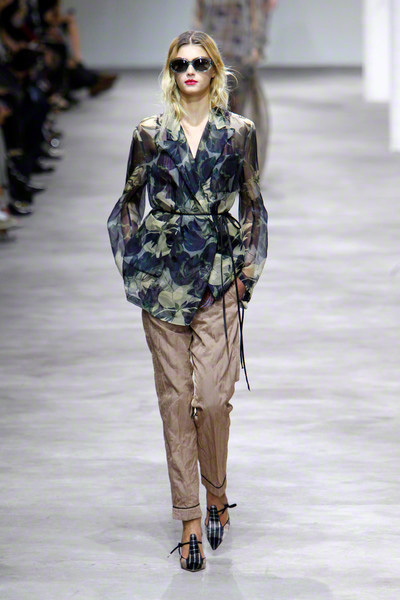 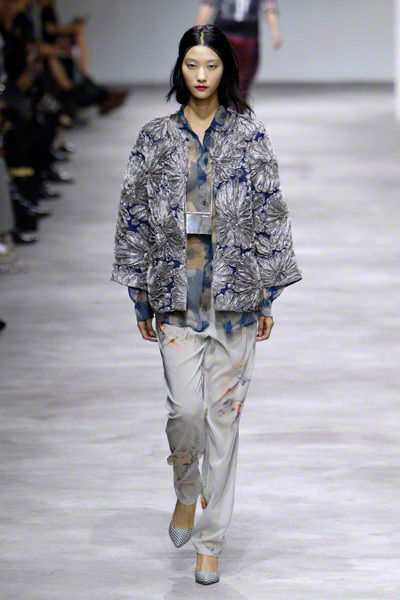 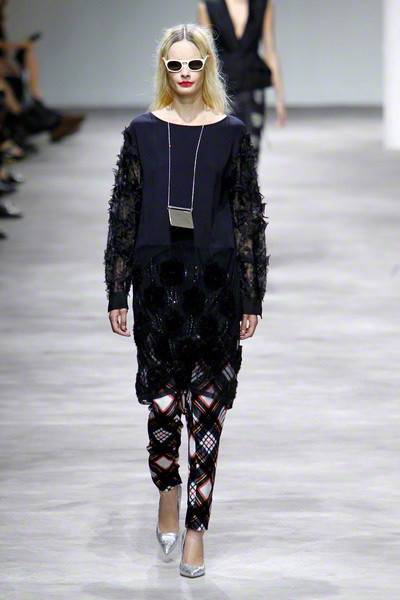 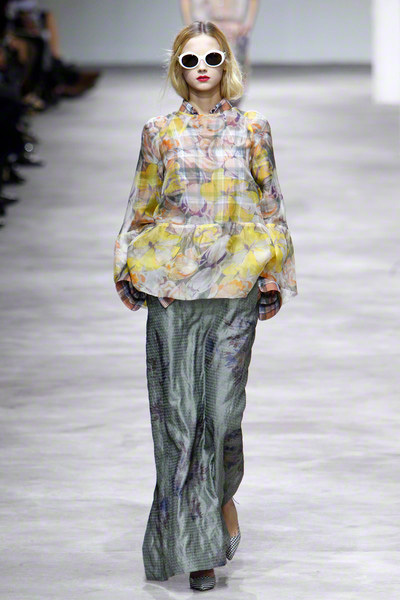 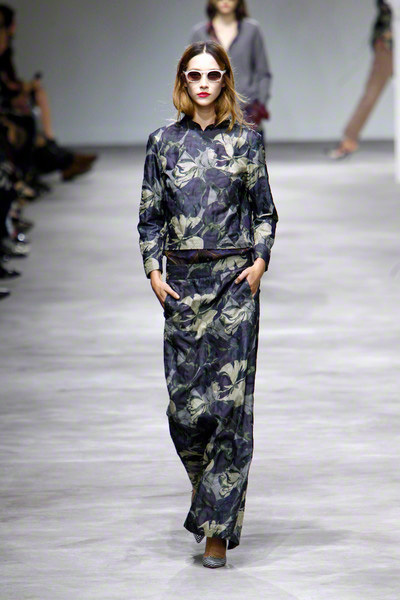 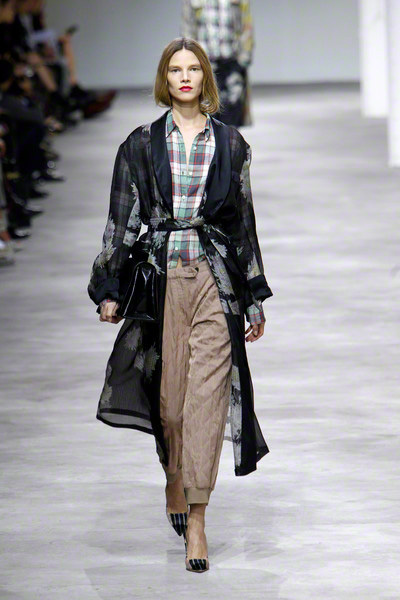 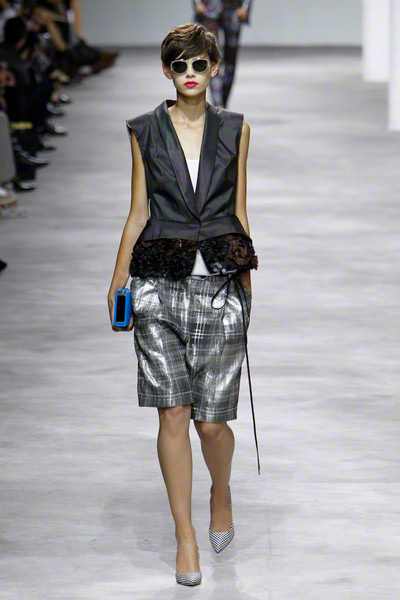 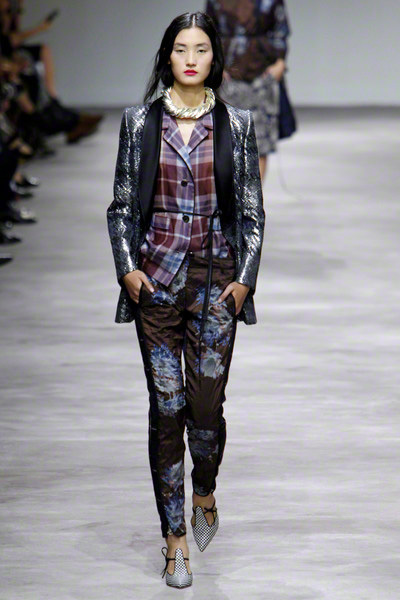 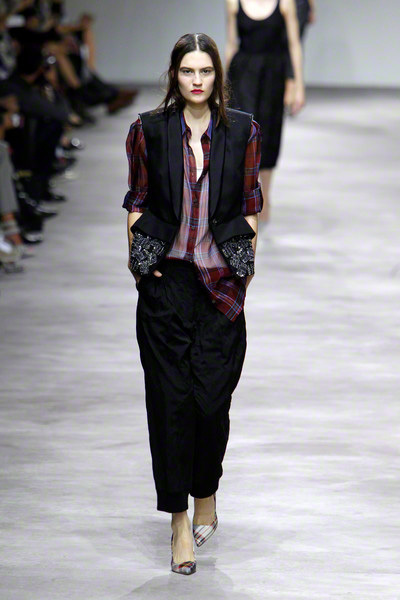 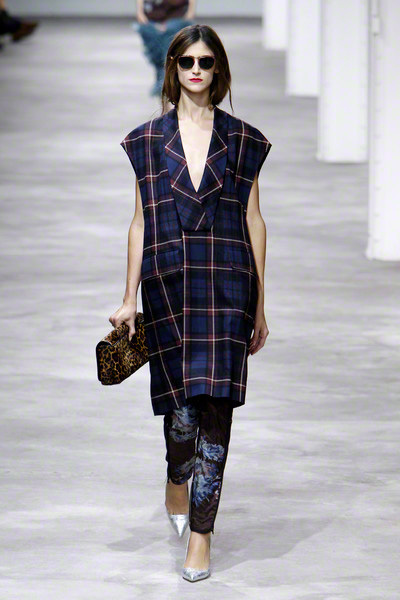 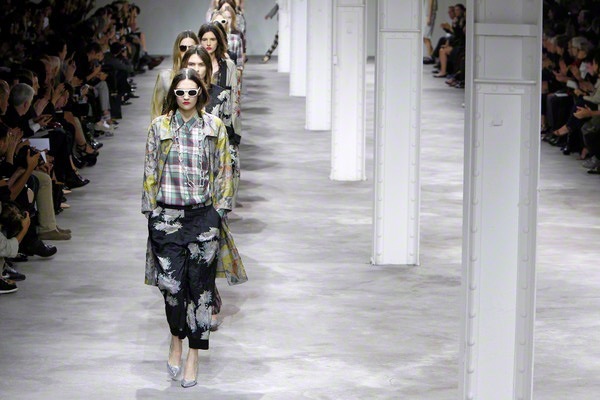 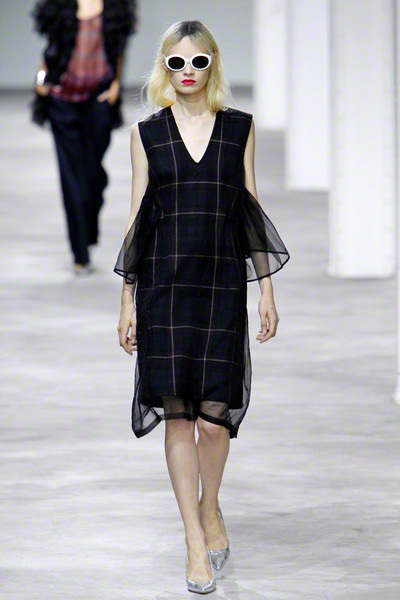 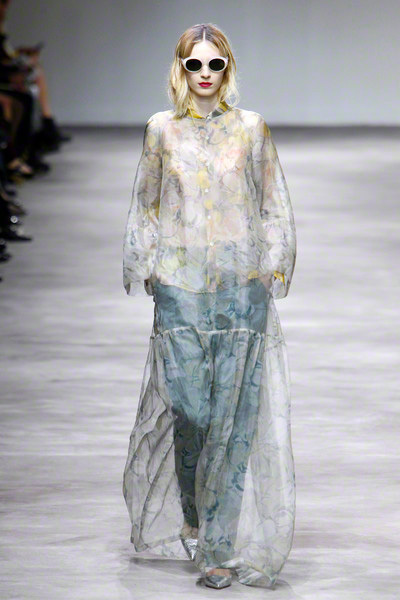 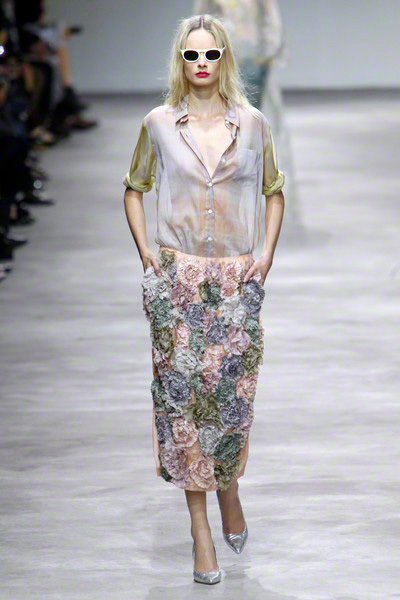 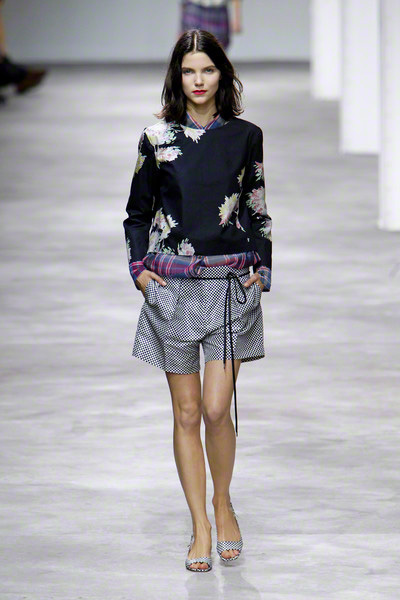 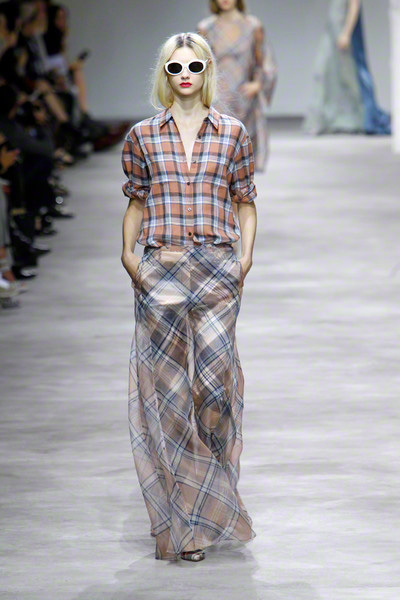 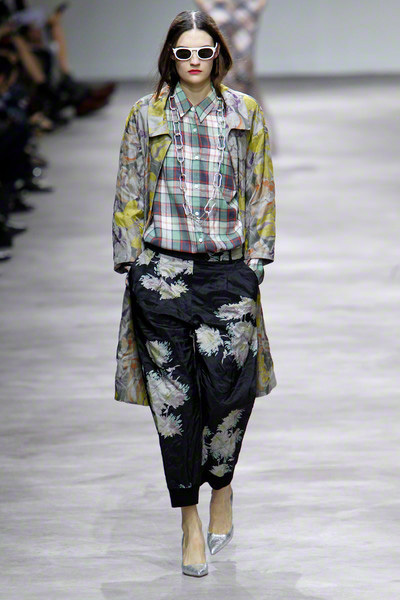 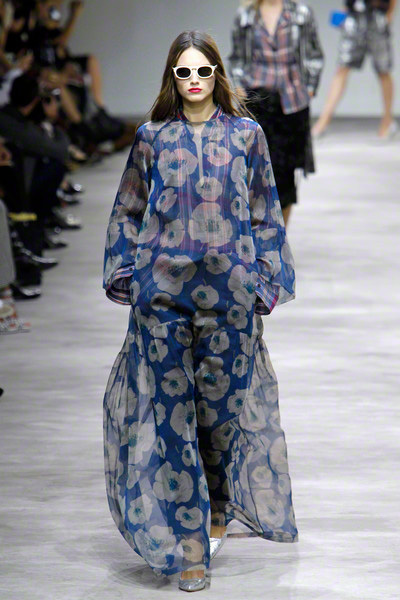 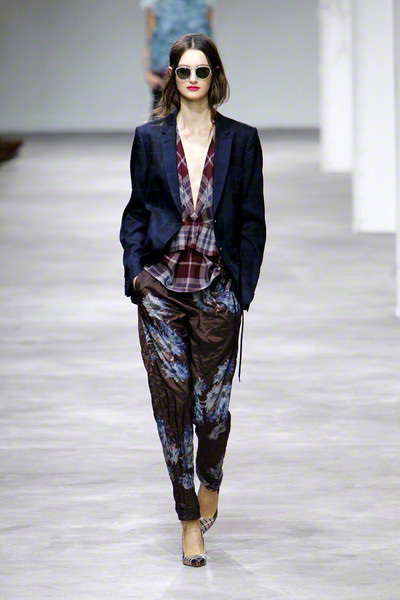 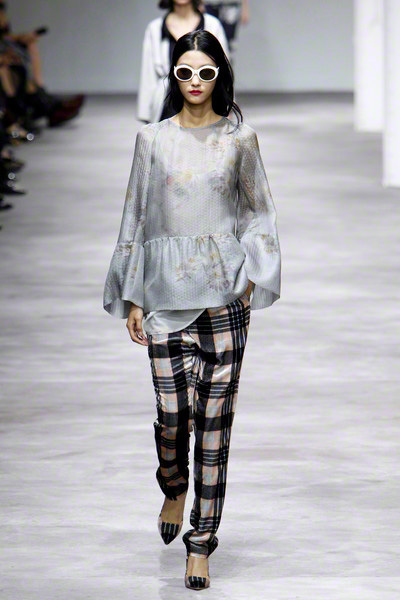 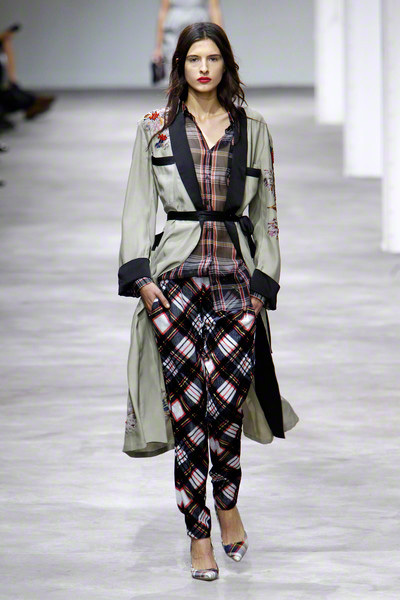 Dries van Noten always follows his own feeling, that makes his collections so real and honest. 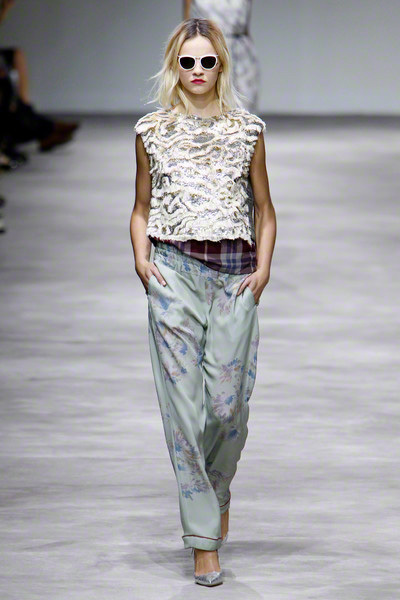 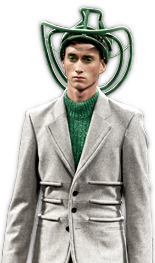 For ss2013 the Belgian designer mixed everything he loved – mens/womenswear, grunge and spontaneity – in a contemporary collection. 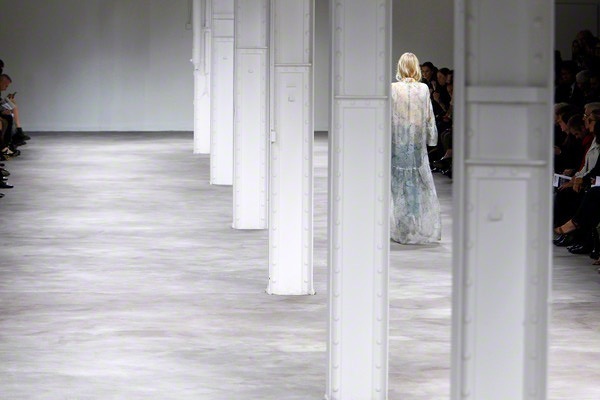 He had enough of minimalism and plainness – just at the time nearly every designer is going for minimal elegance. 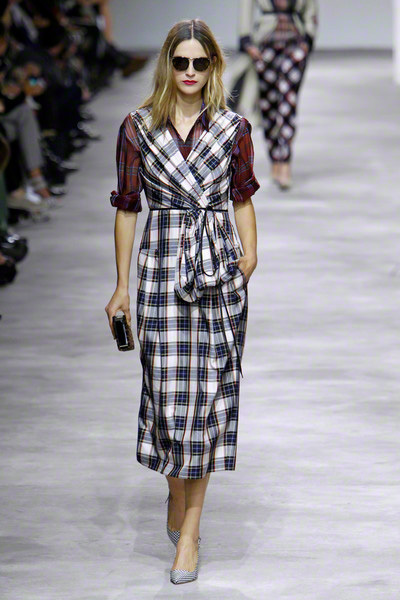 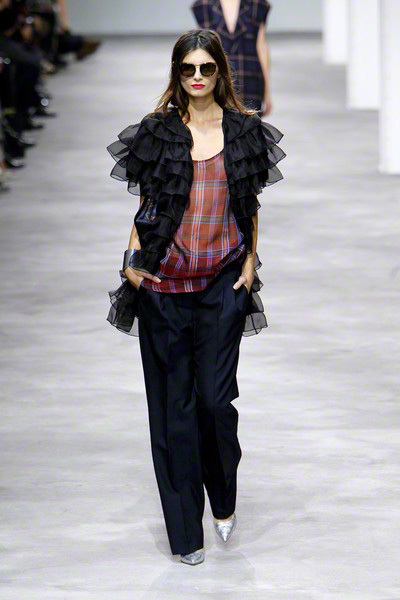 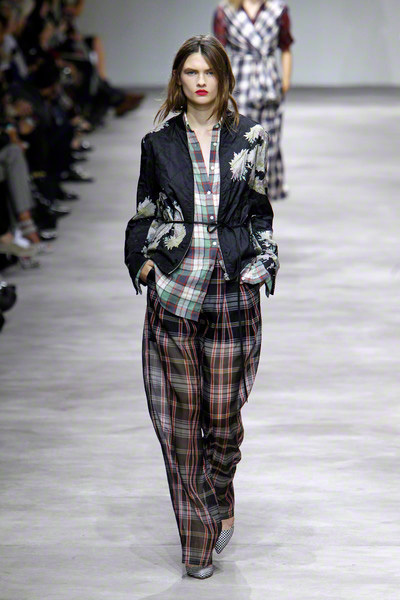 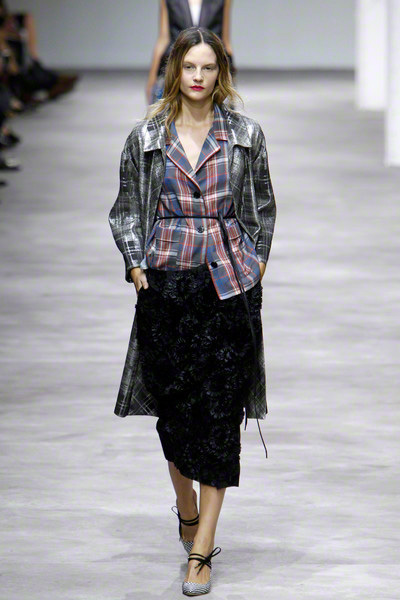 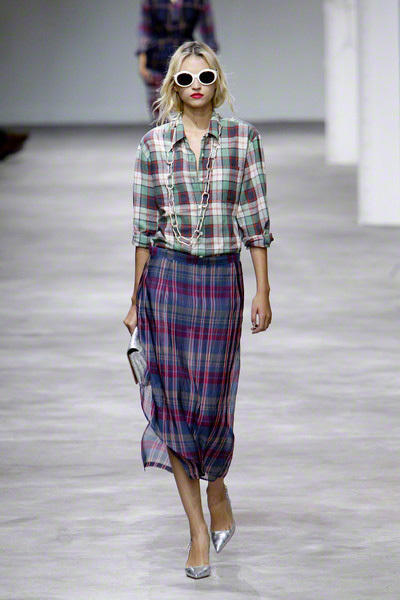 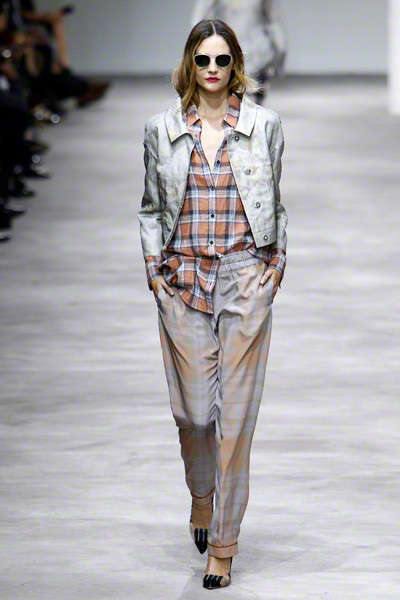 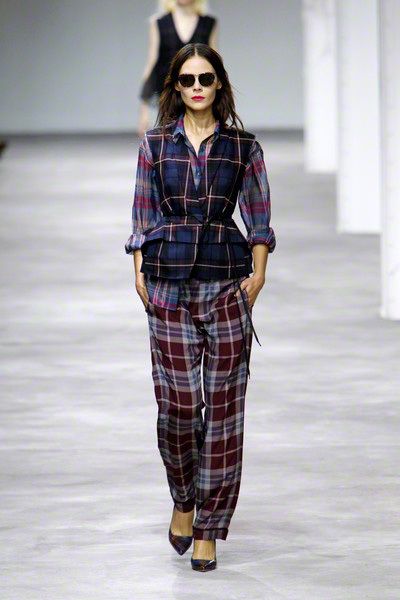 Van Noten took basic pieces and cut them in the plaids and checks of retro street culture, pattern clashing against pattern, sometimes in the same garment. 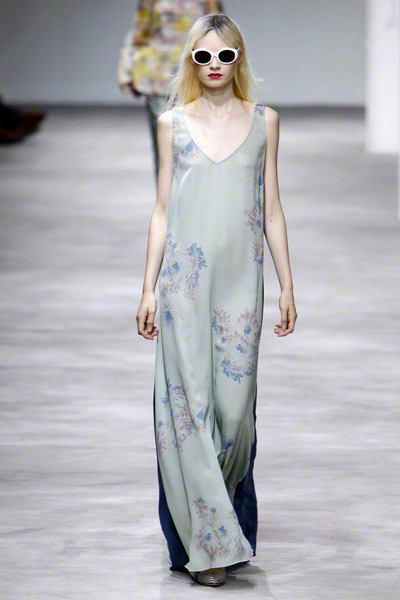 Yet lightness reigned, in both color (muted pastels that held court with earthier tones) and in the constructions of the fabrics. 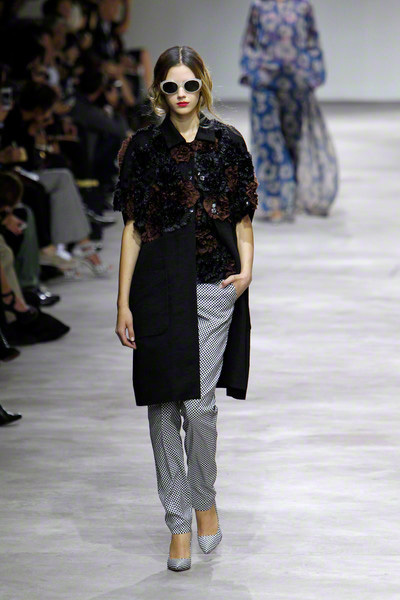 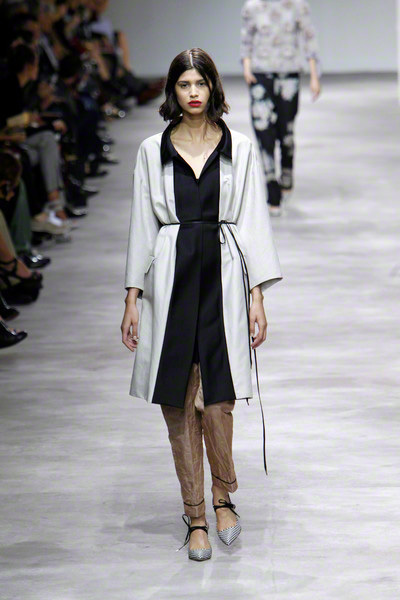 Like much of the tailoring, the decorativeness was informed by the designer’s fascination with couture. 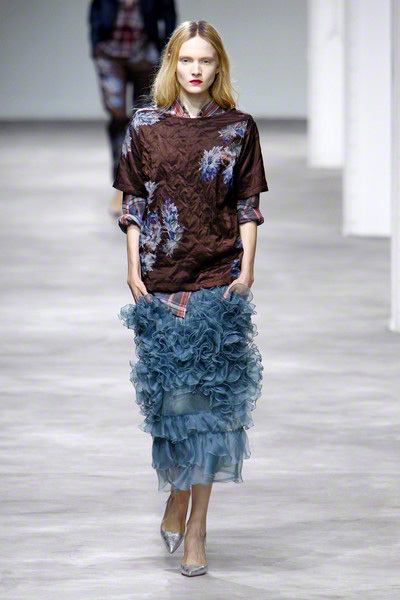 Skirts were adorned in front with appliqués of rosettes; a sweater got embroidered sleeves; organza ruffles became a wrap.